Indian International Goalkeeper Aditi Chauhan made history when she was signed by West Ham United's Women's team and made her competitive debut on Sunday, 16th August 2015 in FA Women's Premier League Southern Division against Coventry City. 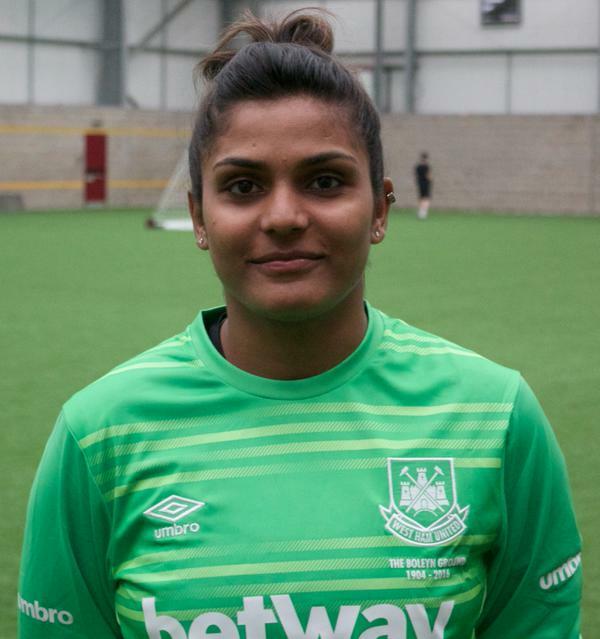 Aditi Chauhan, who played a key role in India's triumph in SAFF U-19 Championship 2012, signed for the ladies team of the English Premier League(EPL) club, West Ham United in the pre-season. West Ham United Ladies currently play in the Football Association's (FA) Women's Premier League Southern Division, a league in the third level in the women's football structure in England. Aditi Chauhan's debut in English soil came with a 5-0 defeat at the hands of Coventry City FC in the FA Women's Premier League Southern Division but Aditi sounded optimistic in an interview with the club media after the match. "I am excited to be playing in this league. Its a better league for me to be playing in. Personally, I am looking forward to improve as a player", Aditi Chauhan was quoted saying to the club's Youtube Channel.